We need it to be perfectly understood that the Veritaseum token rental facility is a vehicle for conducting peer-to-peer, over-the-counter token transactions. It is not an exchange, nor an offer to buy nor sell securities. Now that we have gotten that out of the way, we would like to prepare to introduce the rental app ahead of both the more institutional VeADIR and research offerings (reference Veritaseum Autonomous Distributed Interactive Research (VeADIR)). 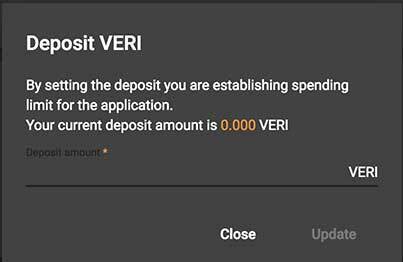 VeRent consists of two areas, one for token renters "Get Veri Tokens" and one for token owners "Offer Veri Tokens"
If you would like to offer rental of your VERI tokens navigate to "Offer VERI Tokens" tab and set your VERI deposit by clicking on the "deposit" button in the header. The tokens won't be transferred to the contract just yet, the value is just an allowance for use in the rental app. 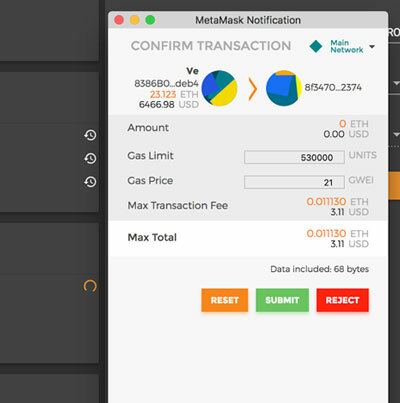 You will be asked to sign a transaction in a Metamask dialog window. 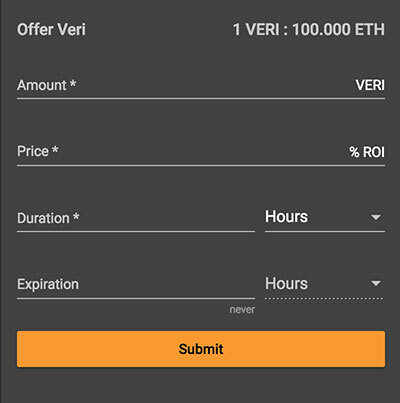 Alternatively to creating new offer, you can accept existing ones, You can find them in "Get Veri Tokens" tab "Offers" table. To accept an offer click "shopping cart" icon. MetaMask plugin will ask you to confirm your transaction in a popup window. 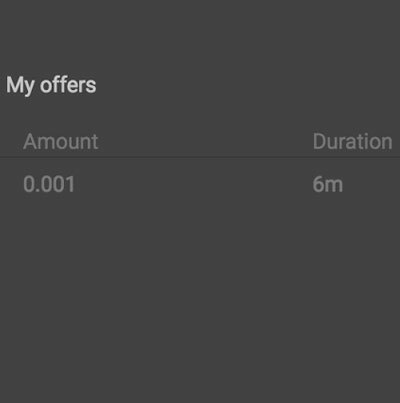 Until the transaction's complete and added to the blockchain, you will see a pending transaction in "My offers" table. Processing on Blockchain takes considerable time, so please arm yourself with patience, usually your transaction should be completed within around 20 seconds. When processing is complete you will see your offer in "My offers" table. On the right side of the row you can see available actions. To see the transaction in blockchain explorer click "open in new" icon. To cancel the offer click "trash" icon. 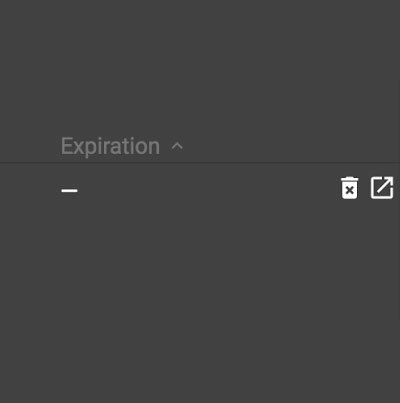 Once your offer is accepted it will be moved from "My offers" table to "Opened exposures". At this point ether and VERI tokens are transferred to the contract. You can track the status of exposure in columns "Time Left" and "Projected ROI" calculated based on the average ROI. After the exposure time has elapsed, the status changes to "closing". It may take some time until the exposure is finalized and the funds locked in it become available. Once exposure is closed, it is moved to "Closed exposures" and updated with the actual ROI. You can withdraw your funds. In order to do that, click "coin" icon in the right side of the table row.